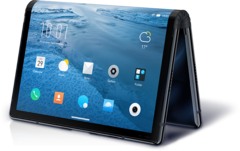 A California-based electronics firm called Royole has unveiled the FlexPai foldable smartphone, seemingly beating tech giants like Samsung and Huawei in the race to release a truly flexible device. The FlexPai will operate on Water OS (based on Android 9.0) and should feature a Snapdragon 8-series SoC. Apparently, the handset has passed an unnamed bending test over 200,000 times. Royole, a company founded in 2012 and based in Stanford, California, has announced the FlexPai smartphone. The device was revealed to the world at an event held in Beijing, China, and its full specifications have been published on the firm’s website. Along with being fully foldable, the device will have a 7.8-inch AMOLED screen that offers a 1920x1440 resolution when in expanded mode. The display covers the front, rear, and hinge area when fully opened. The somewhat hefty device weighs in at 320 g and measures 134 mm x 190.35 mm x 7.6 mm. The specifications mention a 2.8 GHz Snapdragon 8-series SoC with an Adreno 640 GPU, which is likely going to be the Snapdragon 855 or 8150, depending on what name Qualcomm decides to give its new chip. The phone also comes with 6 GB RAM and 128 GB storage in the base variant, with 8 GB/256 GB and 8 GB/512 GB versions also mentioned. There is a dual camera system with 16 MP and 20 MP sensors, and the FlexPai also brings a 3,800 mAh battery to the table. The price for all this technology in a bendable smartphone: From 8,999 to 12,999 yuan (~US$1,290 to $1,863), depending on the model. It’s unlikely Samsung, Huawei, LG, and all the other manufacturers working on bendable/flexible/foldable smartphones will be too concerned about being beaten to the punch by this relative upstart in the industry, though. 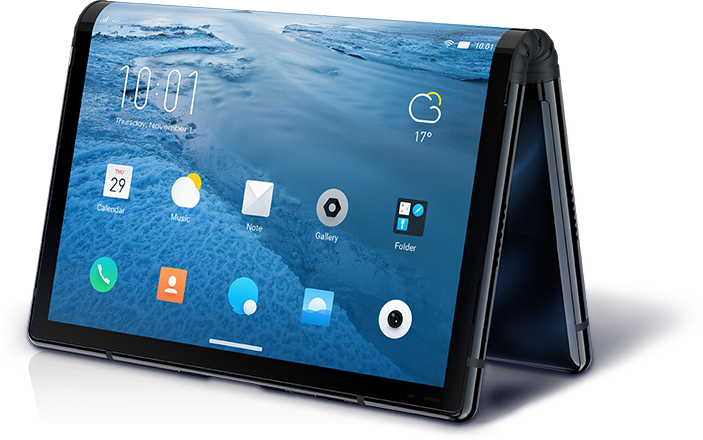 Regardless of its level of success, Royole has delivered a foldable handset that will certainly guarantee the company a fair amount of attention if little else. The FlexPai apparently starts shipping in late December, but an edition for developers is going to be made available on November 1.